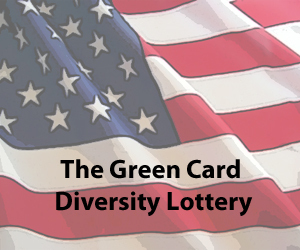 The Department of State holds a green card diversity lottery with up to 50,000 green cards in the pool. The goal is to offer green cards to people in countries that do not normally immigrate to the United States in large numbers. This is regulated by the prior year’s immigration statistics where countries have sent more than 50,000 immigrants to the US. If a country sent more that the limit, then people applying for the green card lottery from one of these countries will not be eligible. Like any lottery system, this becomes a popular avenue to get a green card and some years there have been over 10 million applications. The lottery is run once a year, usually in October, and the qualified applicants are randomly chosen by computer. The green card lottery system is pretty easy in comparison to other applications for a green card. There is no fee to file and the application is simple. The qualifications for the green card diversity lottery are generally simple. Your application must be properly filed and received within the specified application period (please be careful because this can change from year to year). You also need to have graduated from high school or have vocational experience of two years (within the past five years) in your occupation or trade that requires a minimum of two years training or experience. Finally, you still must have a valid affidavit of support. In the past it used to be a mail in system. Now there is an online application system and the Department of State has lengthened the application period. You can apply online at dvlotter.state.gov. As noted on their site, the online entry period for 2010 is now over but people who have filed may check the status of their submission now. You will need to check your confirmation page information (during October 2, 2008 and December 1, 2008) to find out if their green card lottery application was or was not selected. There is also a window of opportunity to check status, so please keep up with the website for the latest dates. One important warning that they have on the site is that there are online sites that represent a fee for applying for the green card lottery or even worse they claim or look like a government agency. THIS IS NOT THE CASE. 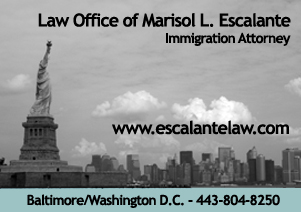 There is no charge to download and complete the Electronic Diversity Visa Entry Form. The Department of State notifies successful Diversity Visa applicants by letter, and NOT by email. Please refer to their site, and no other, for the official terms and conditions. Always remember that the more organized you are the better your chances. Please keep in mind the limits on the total number of awarded green cards. Also remember that there is follow up that is needed in order for you to go through the process. The green card lottery application is only the first steps, there is more to do once you are contacted. Do not waste time especially if you are a family of four trying to get in. If there are no more numbers… the end result is not all of you get in.